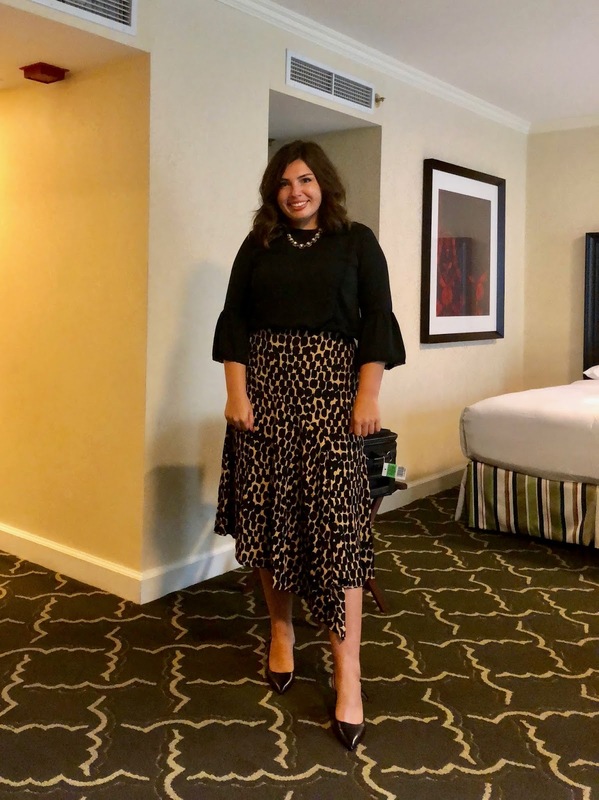 I have always considered cheetah print a neutral, and throughout the years my cheetah print jacket and heels have always been in rotation. So when animal print started to have it’s moment, I was excited to see it being embraced as not only a neutral, but as a loud statement piece. I have loved seeing zebra, cheetah, and snakeskin prints on pants, shirts, shoes, and bags all over the runway and high street stores. I am currently obsessed with this bodysuit from Zara. 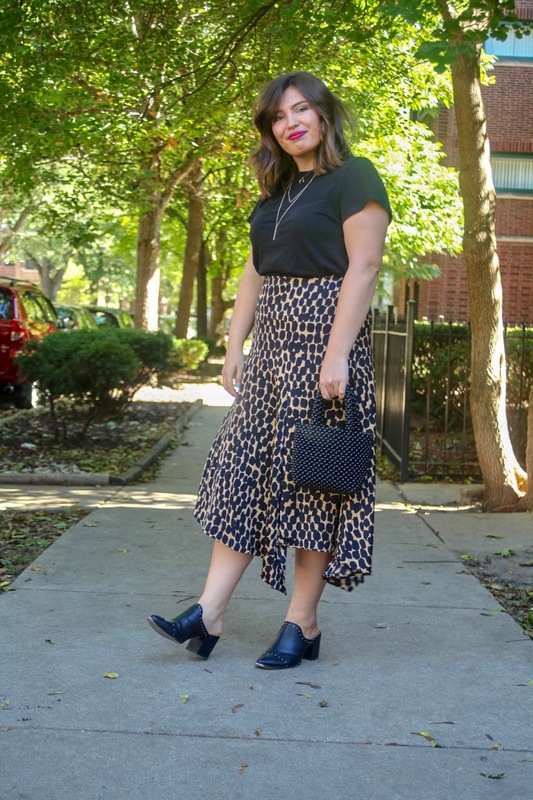 I have seen the Realisation skirt, that it seems like every fashion blogger has, all over Philly. And although it is a beautiful skirt, I decided to search for a cheaper alternative. I found this amazing asymmetrical one from Target. 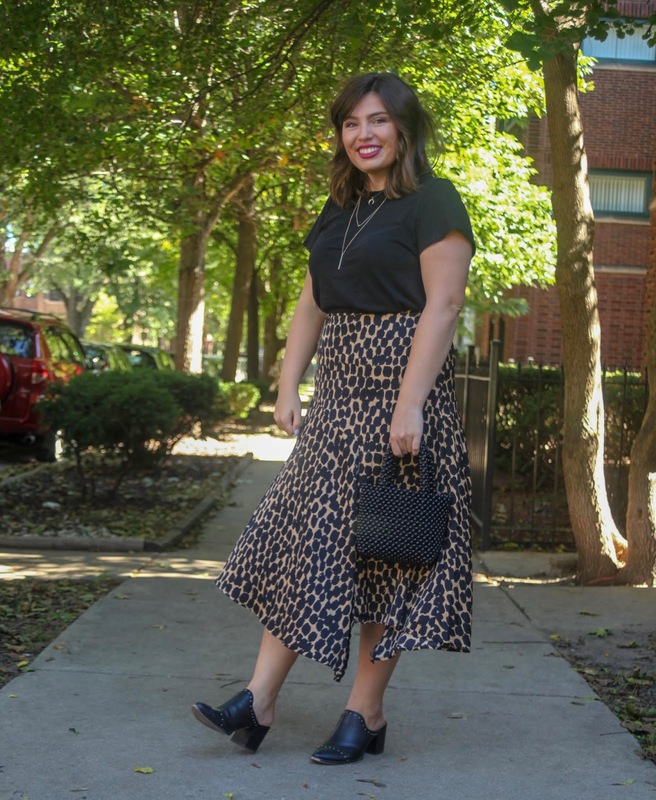 I have worn it with blouses to work, and with t-shirts on the weekends like today’s post. I love this edgy, but refined outfit. For my bag, I also decided to go with a dupe for another trendy piece. I love Shrimps’ Antonia bags, but it has a pretty high pricetag. I instead opted for a high street alternative for $30. 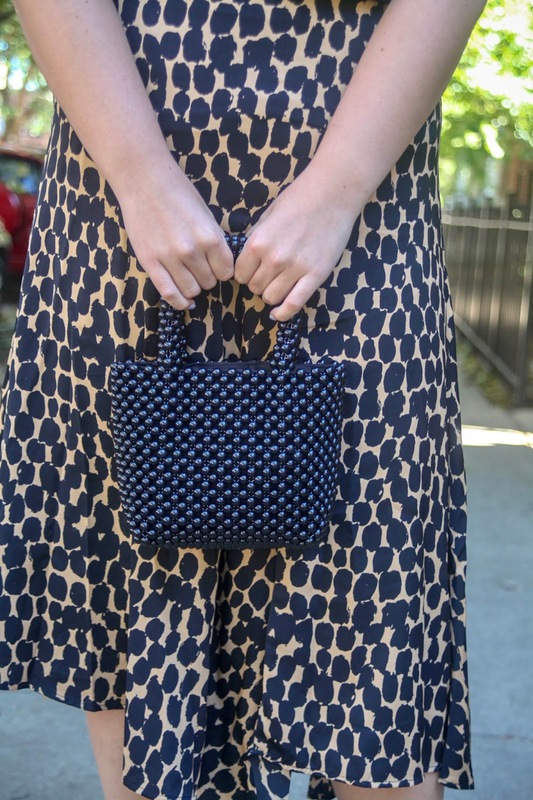 I love beaded bags, they add texture to your outfit in such an unexpected way. I have loved these necklaces that I got at Forever21. For the entire set, it was under $5 dollars. Not all of their jewelry looks as nice as the ones I found, but if you take the time to look, you can find delicate pieces that look far more expensive than their pricetag. This is how I wore the skirt during one of my first days at work.